June 15th, 2018, marks the 6th anniversary of the highly successful Deferred Action for Childhood Arrivals program, or DACA, which began under President Barack Obama in 2012. 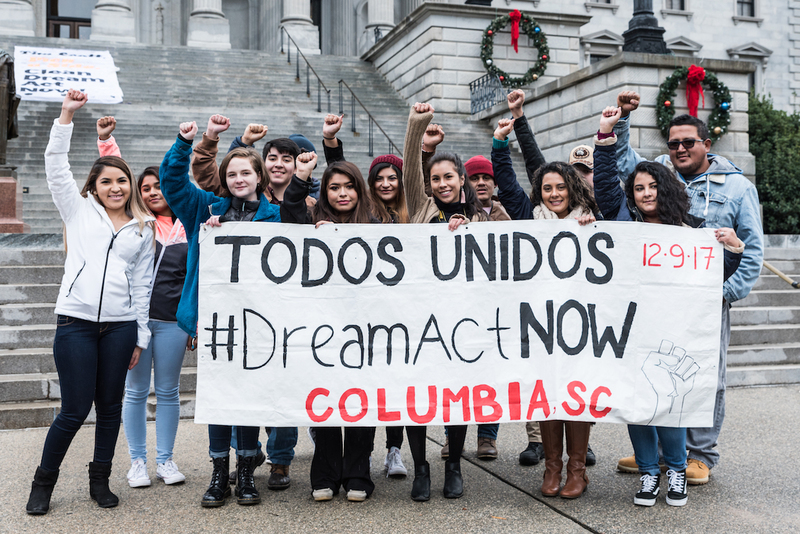 In the last six years DACA has improved and stabilized the lives of nearly 1 million young people across the United States, affording them protection from deportation, the ability to obtain driver’s licenses, access to safe and stable employment, and in many cases, the option to pursue higher education. It is hard to overstate the significance and positive impact of the DACA program in the lives of its recipients. Simultaneously, it’s hard to for anyone who has never experienced being undocumented to understand the true meaning of this protection – for many, DACA has been lifechanging. “When President Obama announced the Executive Action on June 15, 2012, and I read all the requirements about the Deferred Action for Childhood Arrivals programs, that was one of the happiest days of my life. Since that day my life has completely changed. After my initial approval, I was hired as a receptionist at a local immigration law firm. I worked very hard there, and within a year, I was promoted to a legal assistant. A few months later, I learned about the paralegal program at USC, and I started saving so I could pay for my tuition. In the Spring of 2014, I obtained my paralegal certificate. With my boss’ supervision, I helped hundreds of DACA recipients. Every time one DACA was approved I could not help but to feel the feeling I felt the first time I held my Employment Authorization Card. Before DACA, I was living in constant fear. DACA gave me peace of mind for five (5) years. The same fear came back into my life on September 5, with the announcement from the Trump administration that the program will end […]. Today, we celebrate the anniversary of this program while understanding there are many dreams still deferred and still incomplete within the DACA program. With the fate of DACA still uncertain, we know that the real responsibility falls on Congress. Congress has the power and the authority to pass a law to provide a pathway to citizenship for these young people and remove the fear and uncertainty from their lives. Instead, these young people have been used as political bargaining chips. They deserve better. We can do better. South Carolina benefits each and every day from the contributions these young people offer our great state. This is their home. Dreamers are here to stay, and they deserve the opportunity to fully realize their dream of US citizenship. We support Dreamers and continue to fight for a legislative solution. ← Statement: Sessions is wrong to stop granting asylum to those fleeing domestic abuse and gang violence.